At the end of a hard day at work, or even before, business owners want to know one thing: their premises will be safe and sound. The same is also true of homeowners, not only when you lock those doors for a weekend away but also when your precious family is at home. In short, security is important to everyone. Think about it: when you have a delicious cupcake on a plate and a greedy passerby is approaching, your eyes and your ears are hawkish. And if you’re not there to guard that cupcake yourself, you still want hawkish eyes and ears standing guard. The answer: CCTV Camera Systems. It stands for closed-circuit television, and it means security. But we think CCTV security is actually much more than that. So while “CCTV is security”, what else is it? Every home or business owner is worried about losing their belongings or stock to break-ins. This can be the case whether the premises is locked up or open for business, as thieves don’t always complete their look with a balaclava! So when something does go missing – and perhaps you only notice when you’re doing inventory – CCTV gives you the opportunity to press rewind and find out what really happened. In short, even if it’s not turned on, CCTV camera installations work. Think about it: you’re a burglar, and two buildings are side by side. One is decked out with CCTV and the other is not. Which one are you going to choose? But as we suggested, ‘wrongdoers’ are not always burglars – they can also be dishonest staff or visitors. With CCTV present, they’re simply less likely to offend. When your fears are realised and your premises is actually the location of a wrongdoing, it’s always great to have CCTV on your team. Chances are, whatever took place has been nicely captured on camera, making it easy to identify the perpetrator and bring them to justice. 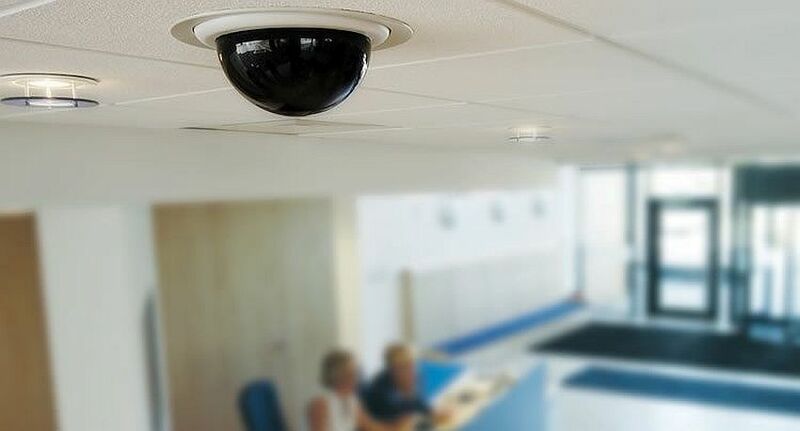 CCTV footage is often used in court as evidence – and it is often the reason a clear conviction is successful. Similarly, CCTV footage is often used publicly by authorities – such as police – to highlight instances of crime, make appeals to identity perpetrators. Never forget, CCTV is an ever-present witness. And CCTV is not just about the security of your stuff and your premises – it also keeps actual people safe. Modern CCTV security systems are not just cameras recording footage: systems can be accessed remotely so that you can check in on places and people while you’re not there. And CCTV can also monitor potential hazards, like areas of high fire hazard. Remote access is also great for business people on the go who simply want to keep an eye on what’s going on ‘back at base’ in their absence. But CCTV in general also does things like protect staff against the false allegations of misbehaving customers, such as short-changing or instances of assault. Finally, CCTV is simply a good look, especially for a business. It shows you’re serious about the safety of your business, your brand, your premises and your staff and visitors. So to look after all of those things, not only will you need a great CCTV camera system, you’ll need Sydney’s best security company! Get in touch today to find out how Citiguard can look after you and yours.